Looking to make your next move? You need a plan! 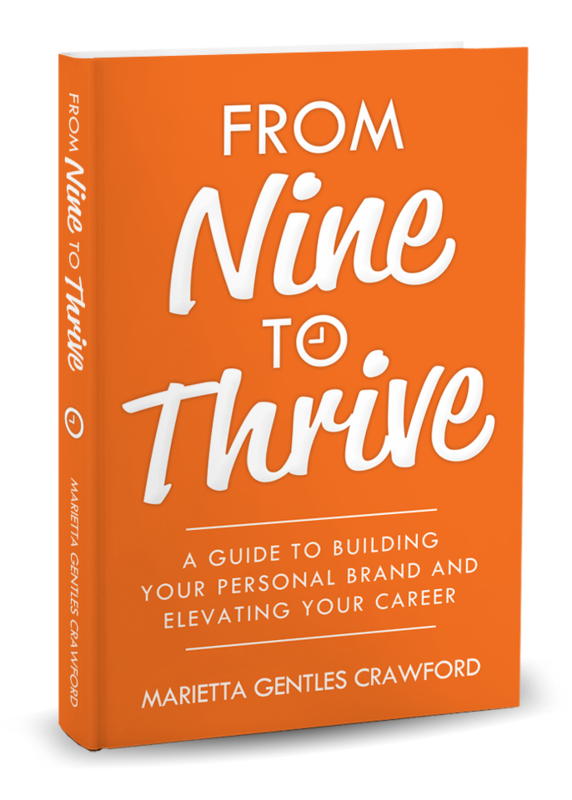 From Nine to Thrive shows you how to build a credible and consistent personal brand that will help you thrive in your career and life. After gaining almost 15 years of career experience working in various corporate and government roles, I’ve learned what it takes to stay marketable. Through easy-to-follow tips, insight from recruiters, and helpful examples, From Nine to Thrive gives you the guidance to confidently position yourself for high-caliber career opportunities. How to invest in your personal brand. How to craft a compelling and unique brand message. How to use social media to access more job and networking opportunities. How recruiters evaluate job candidates when looking to fill roles. Why you need to adjust your mindset, and much more! You don’t have to question your next career move. With a strategic plan in place, your resume, LinkedIn profile. and online presence will help you confidently appeal to the right people. Get the inside scoop on the process of building a personal brand that makes a satisfying career a reality. If you like concise career guides, real-world examples, and a touch of humor along the way, then you’ll love this practical and inspirational guide to putting the spark back into your career. Download the free From Nine to Thrive workbook. It’s a great companion to the book as you read it and start to implement the ideas in it.